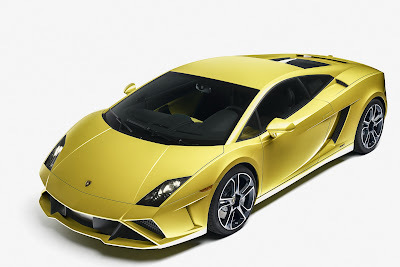 At the 2012 Paris Motorshow Automobili Lamborghini is presenting the most successful super sports car of its entire history with a new design - even more aggressive, and more extreme: the new Lamborghini Gallardo LP560-4 and the LP570-4 Edizione Tecnica. The new Gallardo LP560-4 - equipped with permanent four wheel drive- has a new front end and a new rear, while top models in the Gallardo line-up,the LP570-4 Superleggera and the LP570-4 Spyder Performante, will be offered also as the further enhanced Edizione Tecnica. The six models of the Gallardo family are now clearly differentiated and can be customized perfectly to suit every type of driver. 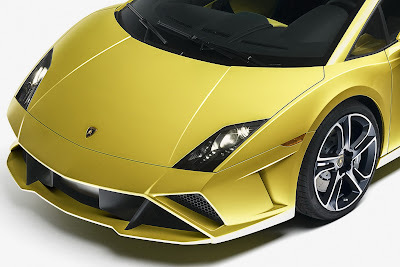 The new Gallardo models will be available at Lamborghini dealerships from November 2012. The unique design with its razor-sharp lines is one of the key factors in its great success worldwide. Nearly 13,000 units have already left the Sant'Agata Bolognese factory. The Gallardo design has now been further accentuated in the new Lamborghini Gallardo LP560-4. The new front end is characterized by triangular and trapezoidal forms - two shapes that are highly typical of the Lamborghini design language. Divided by diagonal elements in body color and in black, the overall look of the front end is broader and more forceful, giving it an even stronger bond with the road. To complete the new look larger air intakes have been created ahead of the front wheels and the new 19-inch "Apollo polished" alloy wheels, painted in matt black and featuring precision-machined spokes in polished silver. 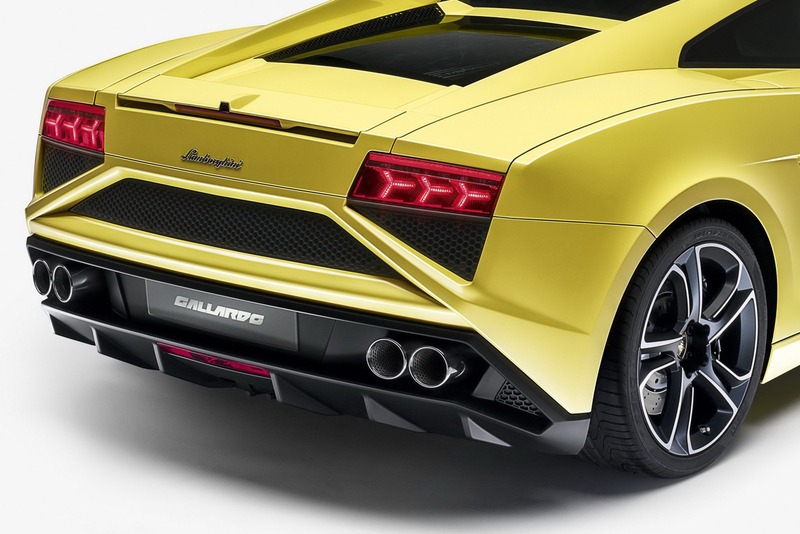 Also new is the even more dynamic rear end design on the Lamborghini Gallardo LP560-4. The triangle and trapezoid are, of course, the characteristic design elements here, too. The air outlet for the power unit now has now a wider surface area, which improves its thermodynamic efficiency. A new Style Package is available as an option and offers high-gloss black paintwork on the underside of the front spoiler, front and rear grilles and the transverse element of the rear trim to give the Lamborghini Gallardo LP560-4 an even more powerful look. With a more determined lightweight design, a focus on high performance and a purist look, the LP570-4 Superleggera and the LP570-4 Spyder Performante mark the very pinnacle of the Gallardo family. As Edizione Tecnica, they benefit from a further improved equipment level and an even more individual look. Features of the Edizione Tecnica include the fixed high rear wing, as well as brakes in carbon-ceramic technology. They combine low weight with outstanding fade resistance and durability. The power to weight ratio down to an outstanding 2,35 allows the car to be taken as one of the best references in the segment. The Edizione Tecnica underscore sits very special look with three new exclusive optional color combinations, whereby the entire roof arch and front air intakes are painted in a contrast color. The available shades are: Nero Nemesis (matt black) body with Arancio Argos (orange) pillars and front air intakes, Bianco Canopus (matt white) body with Arancio Argos pillars and front air intakes, and Arancio Argos body with Nero Nemesis pillars and front air intakes. 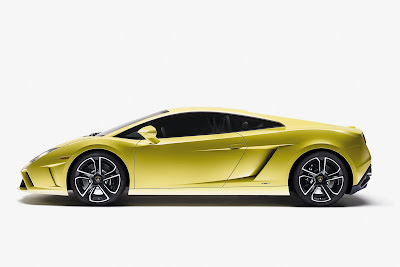 In addition to this, all the new Gallardo models can be customized to a virtually limitless degree with the exclusive and well known: "Ad Personam" Lamborghini program. The new LP560-4 and the Edizione Tecnica for the LP570-4 Superleggera and Spyder Performante, underline - even in terms of design - the differences in mechanical and driving experience among the four-wheel drive versions of the Gallardo range. 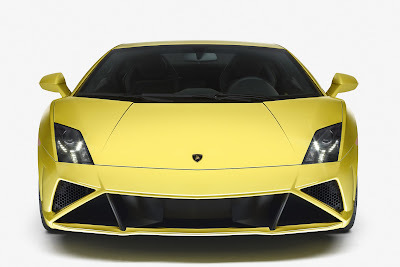 In fact, beside the Gallardo four-wheel drive, the two-wheel drive Gallardo LP550-2 in Coupe and Spyder format are still available. With its purist rear-wheel drive, it appeals to drivers that prefer a highly active and engaged driving style. The Gallardo LP550-2 offers the unique design and performance of a Lamborghini in a simple and uncomplicated form.